Beautiful You: BOOK REVIEW | Wilde Like Me - Louise Pentland! 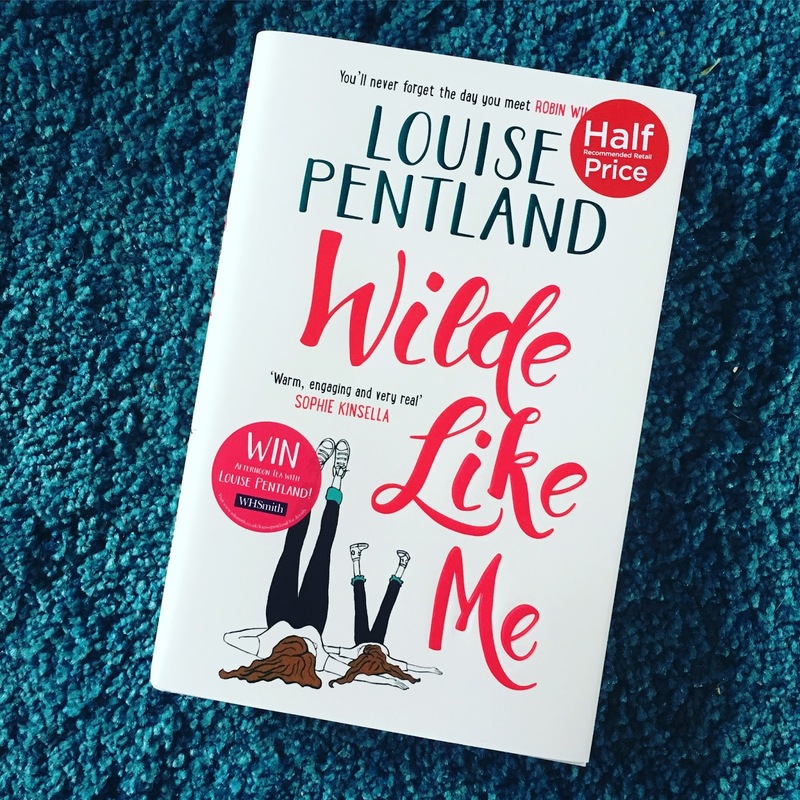 BOOK REVIEW | Wilde Like Me - Louise Pentland! If I'm honest, I thought that I was completely over YouTubers publishing their own books but I couldn't help myself when I walked into WHSmiths yesterday. I'd just had another job interview and I was feeling a bit sorry for myself, so I decided to do some window shopping whilst obviously turned into actual shopping. I haven't kept up to date with everything Louise has been saying about the book because I was adamant that I wasn't going to be buying it, but now I am so unbelievably glad that I did. I'd like to say that I'm a bit of a book worm because I used to read a lot, there are a few book reviews on my blog from back in the day and I really wanted to do another one on this book because I was blown away (excuse the cringeyness but its true). The general story of the book is based on the life of single mother Robin Wilde with a young child, Lyla Wilde. With the recent break up with her ex-husband, Robin often feel the sense of 'The Emptiness' hanging over her. With the help of her best friend Lacey, Lacey's sister Piper and her Auntie Kath she takes on life's endeavors the best she can whilst helping the others along the way. Alongside dealing with lifes challenges she also has to compete with the 'Posh School Mums (PSMs)' at Lyla's prep school who she believes judge her every move and her increasing workload provided by her boss Natalie. One night she bumps into a handsome man, Theo and a whirlwind adventure begins, however as time goes on it comes to light that it isn't what it first seemed. Therefore, this is the perfect time for Robin to take the huge job opportunity, expand her horizons and leave her troubles behind. She makes a huge impression, with a one night stand thrown in there and the experience leaves her with a whole new outlook on life which she takes home and implements in her day to day life. Inevitably Robin Wilde takes her life into her own hands and bosses it. I started reading this yesterday afternoon and I finished it this afternoon because I, hand on heart, could not put it down even though I reluctantly had to when I went to the races last night. I have not come across as book as well written as this one for quite some time and it was a huge breath of fresh air when reading it. From start to finish there were small quirks that Robin does which you can relate to entirely, for example leaving important post unopened for as long as possible or going to the supermarket, buying eight mousses and eating four at once! With the storyline being so relatable, believable and realistic you find yourself really rooting for her to pull through whilst gaining some tips on what to do in your own life. Now I don't know if it's because I have followed Louise throughout the majority of her career that I can really tell how much of herself she has thrown into this book. There are definitely certain saying and mishaps that are written in the book which I can totally see Louise herself saying or doing which totally adds to the humour and lovability of the book. Overall, I don't think I could have been more surprised after reading this book and I have not loved reading a book more for a long time. Clearly, I am not a single mum but it really does leave you with a sense of empowerment that this is your own life, you only get one so you should go out there and live it the way you want to without the fear of being judged. We are all our own people and why does it matter if we all have different lifestyles, if we all have different opinions or if we want to dress in oversized joggers and a baggy t-shirt rather than some designer pair of jeans? We are all the same deep down and we are all on the same journey so we should just do what makes us happy! I have already said it but congratulations Louise Pentland, you hit the nail on the head with this one!